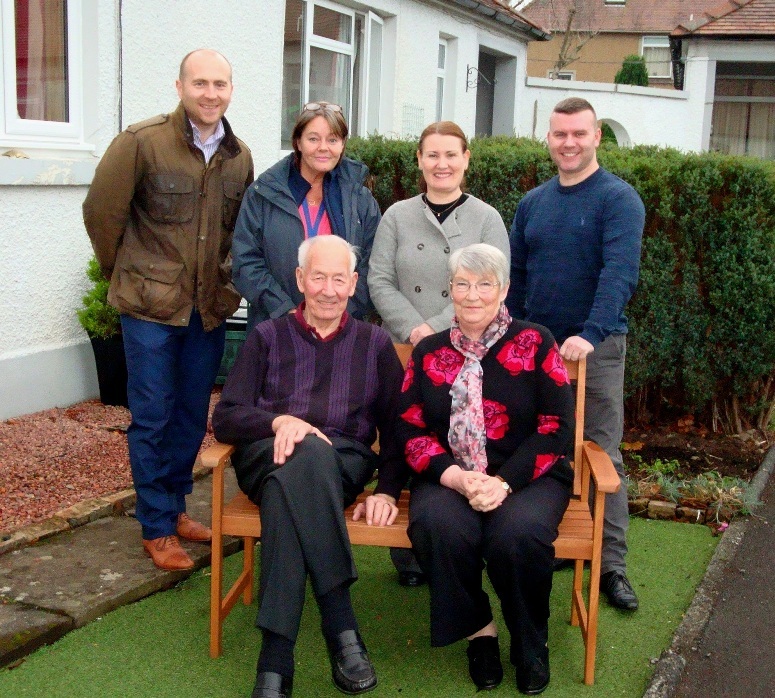 Clockwise from top left: Drew Moore of PfH Scotland; Neighbourhood Housing Officer Wendy Wilson; SBHA Director of Assets and Development Caroline Purcell; Jonathan Walker of PH Jones; Ellen Sanderson; Robert Sanderson. We have embarked on a £2.8 million programme of works to replace inefficient electric storage heating with modern gas combination boiler systems in more than 700 of our homes across the Scottish Borders. 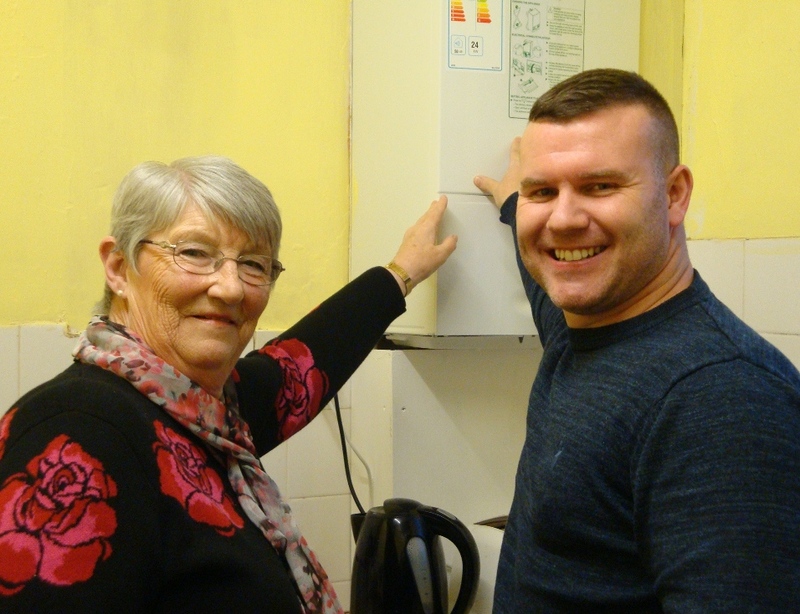 Mrs Sanderson and Jonathan Walker of PH Jones with the new high-performance combi-boiler. We have commissioned national contractor PH Jones to carry out the works, which should take two years to complete. PH Jones was awarded the contract through a specialist heating services procurement framework designed and managed by PfH Scotland, specialist providers of procurement services to the housing sector.